Wood, James . "Leo Clarke, VC". The Canadian Encyclopedia, 08 September 2017, Historica Canada. https://www.thecanadianencyclopedia.ca/en/article/leo-clarke. Accessed 26 April 2019. Although born in Waterdown, Ontario, Clarke had strong ties to relatives in Essex, England, where the Clarke family returned for Leo’s young childhood. They were drawn back during the Wilfrid Laurier era (1896–1911), along with about a million other British emigrants seeking a new life in Canada. The Clarkes settled in Winnipeg in 1903, where the gates to the city promised “Prosperity” and “Progress.” Leo became a star athlete, known for being adventurous, handsome and bold. The Clarke family lived at 785 Pine Street and attended the nearby Saint Patrick’s Anglican Church. When the First World War broke out in 1914, Clarke was working as a railroad surveyor in northern Saskatchewan. His father Harry, coming from a family of British soldiers, sent his son a message that Britain and the Empire were at war. By the time he received the message, Clarke was working on a ranch in Saskatchewan. He returned home and enlisted in Winnipeg's 27th Battalion, and shipped out to England in mid-May 1915. 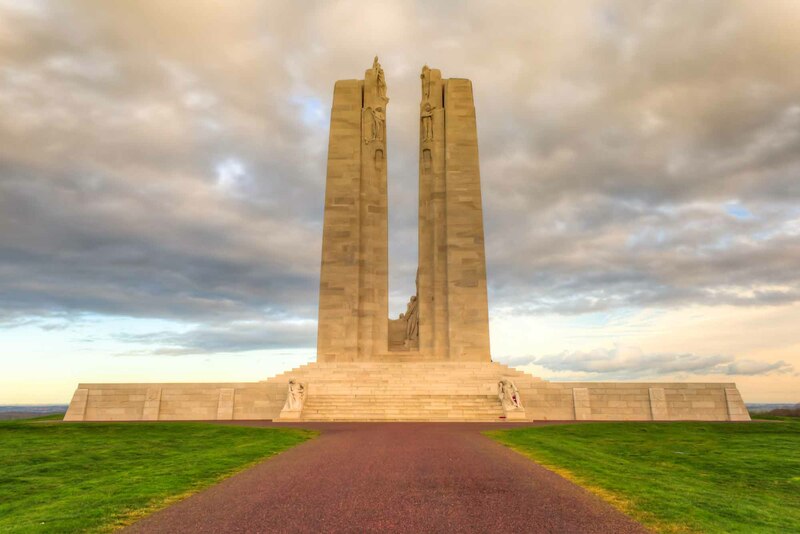 Clarke arrived in France with the Second Division, Canadian Expeditionary Force, in September 1915 and was posted to the Ypres salient in Belgium in October. Upon learning of his brother Charlie’s work as a “bomber,” Clarke requested a transfer to join Charlie in the 2nd Battalion. Bombers were specialists in using Mills No. 5 grenades and rifle grenades. Both brothers became elite soldiers in an extremely dangerous line of work. Leo was wounded on 8 December 1915, but returned to duty in time to take part in daring nighttime trench raids early in 1916. Noted for his courage and skills as a sniper, Clarke became a junior non-commissioned officer. On the morning of 9 September 1916, Clarke’s 2nd Battalion joined the Allied attack as part of the Battle of the Somme, in France. Corporal Clarke carried Mills grenades and small arms ammunition, and moved forward in a bayonet charge supported by an artillery barrage. The battle intensified as the Germans countered with heavy artillery and machine gun fire. The Canadians worked hard to strengthen the shattered enemy trenches they occupied during the assault, driving back several German counterattacks in a frenzy of fire. Water and ammunition were running out and it was vital for Clarke and the bombers to secure two ends of a captured enemy trench, at Pozières Ridge near Courcelette, in order to protect the captured area. Clarke's flank suffered the worst of the fighting, requiring soldiers to drive back the enemy in close-quarters fighting. After holding their flank – but with his companions now all wounded or killed – Clarke continued fortifying the captured trench, when an enemy party of 20 men, plus two officers, suddenly appeared inside the trench. Clarke fought them off, targeting one or two Germans at a time from behind his barricade. Despite suffering a bayonet wound to his leg and bleeding heavily, Clarke continued to fight alone, killing or wounding all his attackers except for the last one, whom he took back to his own lines as a prisoner. After his dramatic achievement, Clarke was promoted to acting sergeant. For persevering in a desperate defence against overwhelming odds, the 23-year-old would later be awarded the Victoria Cross, the most prestigious battlefield medal available to soldiers of the British Empire. 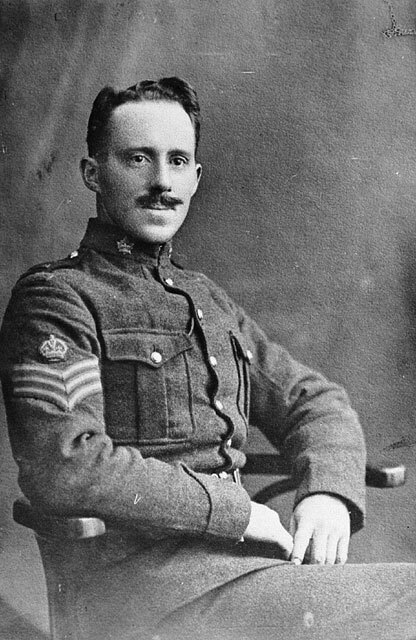 Weeks after his heroism, however, Clarke was buried by the debris from an exploding artillery shell near the German stronghold of Regina Trench. Covered in mud, his brother Charlie dug him out alive. But it was too late, for Leo was paralyzed and had suffered serious internal injuries. He and died from trauma on 19 October 1916 — the same day the British army announced Leo's VC. The citation read: “for most conspicuous bravery” at Pozières Ridge. In February 1917, Clarke’s father, Harry, received his son’s VC at a presentation at the corner of Portage and Main in Winnipeg. The medal was a simple bronze cross stamped with the motto “For Valour.” For the first time, Canada’s governor general, the Duke of Devonshire, travelled to make a personal presentation of the award at a ceremony attended by about 30,000 people. Harry Clarke also received a letter from King George V, commending his son for his courageous actions. 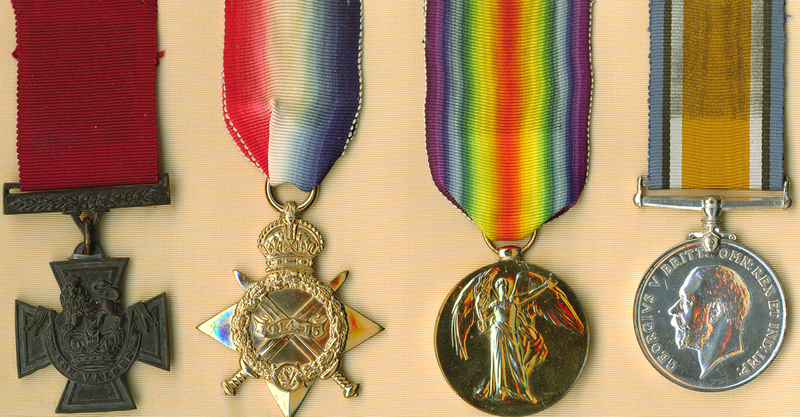 The First World War medals of Leo Clarke (of Valour Road in Winnipeg), including his Victoria Cross on the far left. 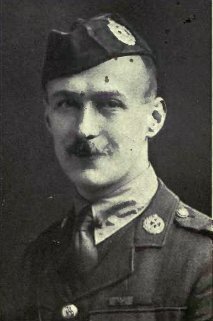 Clarke was the second of three men from Pine Street, along with Sergeant-Major Fred Hall and Lieutenant Robert Shankland, to receive the Victoria Cross during the war. In their honour, the street was renamed "Valour Road." Today, Clarke is commemorated on a plaque at Valour Road; his remains are buried at Etretat Churchyard military cemetery in northern France. His VC, and those of Hall and Shankland, are held by the Canadian War Museum. John Nadler, Valour Road (2014); Tim Cook, At the Sharp End. Canadians Fighting the Great War, 1914–1916, Volume 1 (2007); John A. Swettenham, ed., Valiant Men: Canada’s Victoria Cross and George Cross Winners (1973).